Blue MDPE outdoor / underground "poly" mains water pipe and fittings. MDPE pipe is measured by its outside diameter. MDPE stands for "Medium density polyethylene", if you were wondering. We do not stock the old black Alkathene pipe or fittings any more, but we do have a page with information about its sizing. Heavy duty, brass outside bib-tap wall mounting plate with accessories, suits 20mm blue underground MDPE plastic pipe. Brass 20mm MDPE wall plate elbow. Olive for use with blue 20mm MDPE (Poly) pipe and MDPE compression fittings. 25 metre coil of blue 20mm MDPE (medium density polyethylene) underground water pipe. We send this using a courier service, so allow 2-3 days for delivery. 20mm MDPE pipe liner / insert / strengthener. You need to have one of these in the end of your MDPE pipe, no matter what sort of joint it is going into. Heavy duty, brass outside tap wall plate elbow, suits 20mm blue underground MDPE pipe. Has 1/2 inch BSP female connection to suit standard outside tap. This fitting is also known as a wing-back or back-plate elbow. Olive for use with blue 25mm MDPE (Poly) pipe and MDPE compression fittings. 25 metre coil of blue 25mm MDPE (medium density polyethylene) underground water pipe. 25mm MDPE pipe liner / insert / strengthener. You need to have one of these in the end of your MDPE pipe, no matter what sort of joint it is going into. 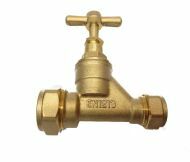 Heavy duty brass outside tap wall plate elbow, suits 25mm blue underground MDPE plastic water pipe. 3/4 inch BSP female thread. Brass stopcock valve with compression type connectors, for use with blue 20mm MDPE (Poly) pipe. Brass MDPE (Poly) stopcock valve. Blue 20mm MDPE pipe in, standard 15mm copper or plastic pipe out. Brass stopcock valve for use with 25mm blue (Poly) MDPE pipe. Speedfit MDPE 20mm connector UG401B, for blue MDPE underground water pipe. Simple push fit connection - no nut to tighten. Speedfit MDPE 20mm elbow UG301B, for blue MDPE underground water pipe. 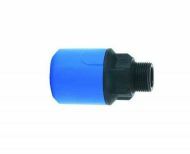 Speedfit MDPE 20mm end stop UG4620B, for blue MDPE underground water pipe. Speedfit MDPE 20mm equal tee UG201B, for blue MDPE underground water pipe. Speedfit MDPE 20mm x 1/2 inch BSP adaptor / connector UG101B. Blue MDPE pipe in one end, other end 1/2 inch BSP male thread. Blue MDPE pipe in the 20mm end, standard pipe out the 15mm end. Manufacturer says this fitting MUST NOT be buried into ground, soil, concrete or other substrates. Speedfit MDPE 25mm connector UG402B, for blue MDPE underground water pipe. 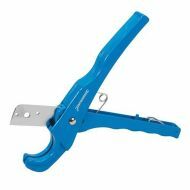 Speedfit MDPE 25mm elbow UG302B, for blue MDPE underground water pipe. 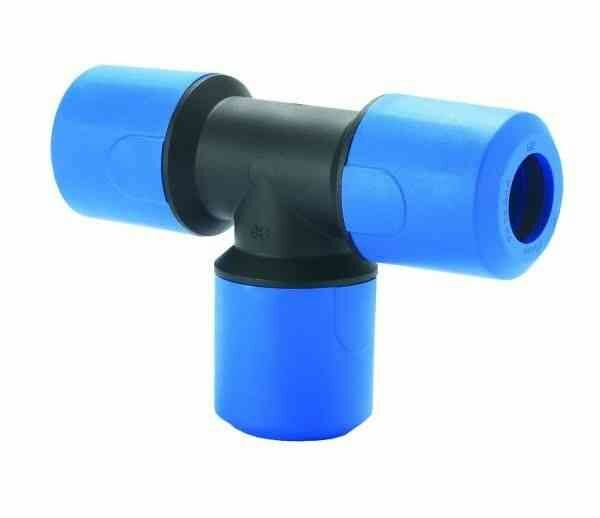 Speedfit MDPE 25mm end stop UG4625B, for blue MDPE underground water pipe. 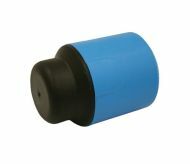 Speedfit MDPE 25mm equal tee UG202B, for blue MDPE underground water pipe. 25m MDPE underground pipe in one end, standard 15mm copper or plastic pipe out the other. 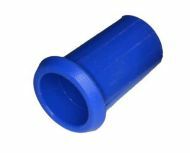 Speedfit MDPE 25mm x 20mm connector UG501B, for blue MDPE underground water pipe. 25mm MDPE pipe one end, 20mm MDPE pipe the other. 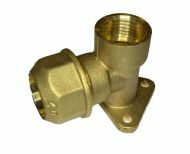 Speedfit MDPE 25mm x 22mm copper connector UG602B, for blue MDPE water pipe. Speedfit UG102B MDPE 25mm x 3/4 inch BSP adaptor / connector. Blue 25mm pipe in one end, 3/4 inch BSP male thread on the other.